hi all! My husband and child and I, just moved to Ireland about a week and a half ago. 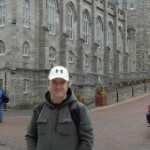 My husband is a minister from the U.S.,has been asked to come work here by a church, and we have been planning to move to Ireland for a long time now, have made extensive preparations, given up our lives and moved over. When we tried to register at immigration earlier this week, they told us, “sorry, we can't register you. “ the stamp that has been given to ministers of religion for many years, and what we were hoping to get, just on January 1st, has been suspended until March 31st, when it tentatively might reopen with new rules. They even told us that we will have to go back to the states and work it out with the Irish consulate there. Well, as you can imagine, we are pretty stressed and disappointed, and now our whole life is just in limbo. We are also wondering, if we don’t get this worked out pretty quickly, are we allowed to leave the country and re-enter with a tourist visa, over and over again, or will they put a limit on that? If anybody has any insight or information about what the new rules for ministers of religion will be, I would love to hear it. Sorry to hear about your situation. I'm sure it is extremely disappointing and stressful. Is the change to Stamp 3 in general, or to your particular situation? I can't find anything on the INIS website that describes a change to the process. Regarding tourist visas, they aren't intended for long term residence. You can have multiple in any given year, but if you are found to be living in Ireland, and using that as a means to re-enter, you could be in a spot of bother. I'm not sure how severely the rules around this are enforcement, but you would be running that risk. 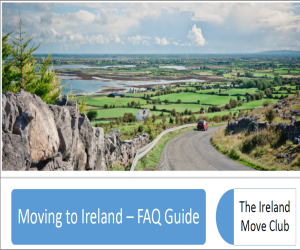 Check out my extremely useful Moving to Ireland FAQ Guide! @userid mention someone if you'd like to get their attention. Thanks for replying Liam. The notice about the suspension is kind of hard to find. I’ll attach it here. As far as I can see, this affects ministers of religion, and volunteer workers. We used to be able to get a three year stamp. They did this suspension literally a week before we arrived. Really, I’m asking about the re-entry with a landing stamp for 90 days, just so we would be able to come back and get our affairs in order that we will leave behind, if we are not able to get long term residence. Rebecca, leaving and returning (even often) isn't a problem. People do it all the time for business etc. I wish you and Scott the best. Let us know how things pan out. I'll keep an eye on the link you posted for updates. What do I do for a tenant reference if I've just sold my house?